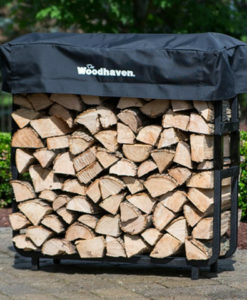 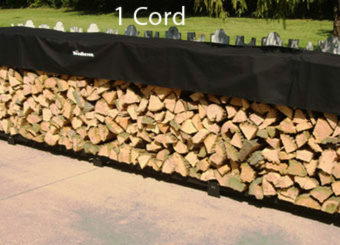 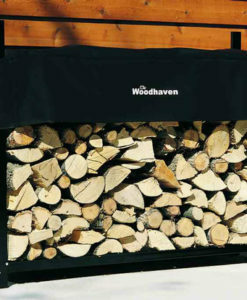 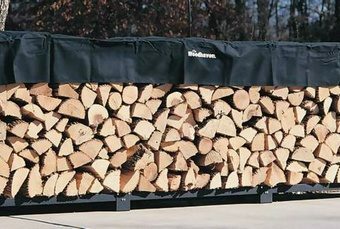 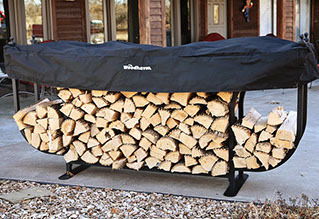 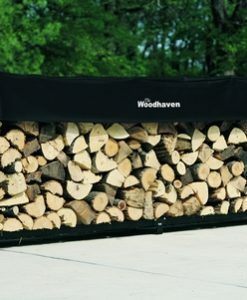 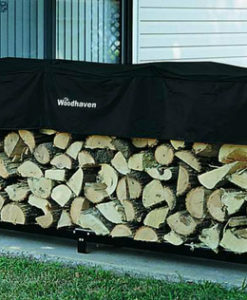 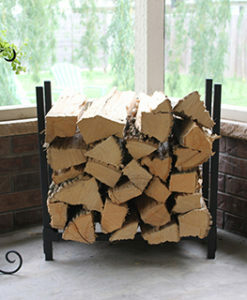 This 4 foot one fourth cord firewood rack holds one fourth a cord of firewood. 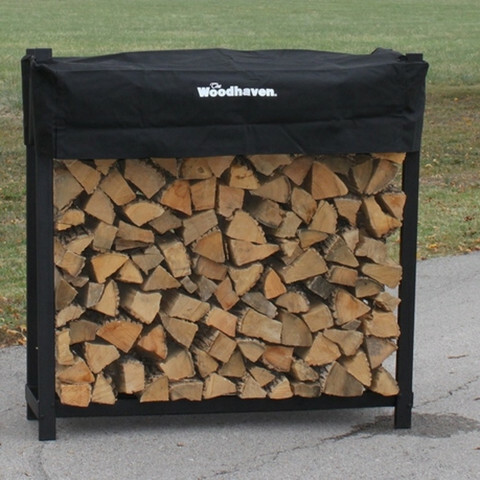 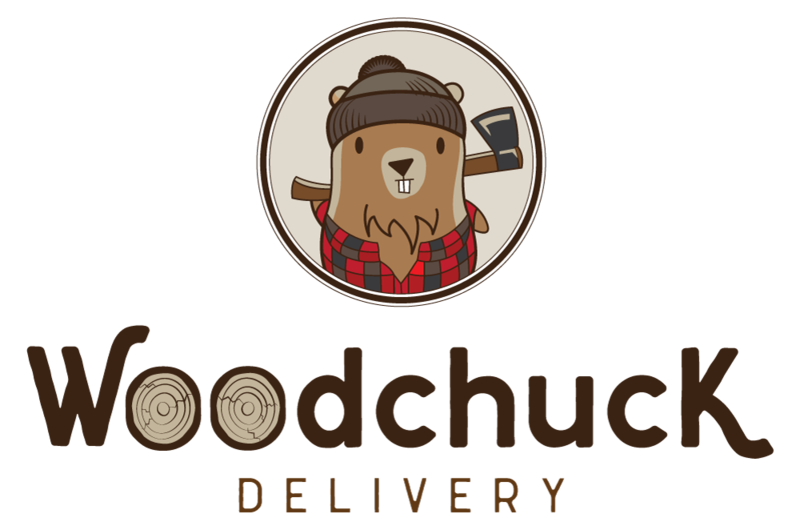 Made in the USA, it features heavy-duty steel tubing, baked-on powder coat finish, stainless-steel nuts and bolts, a lifetime structural warranty, and our patent-pending seasoning cover. 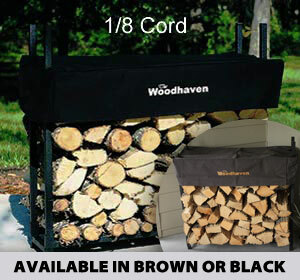 Rack and cover available in black or brown.